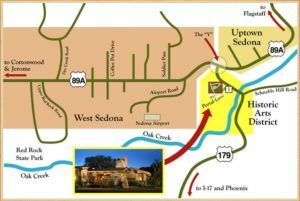 As Sedona’s only Arts and Crafts adobe hotel, El Portal has been deemed an architectural masterpiece by Keep Sedona Beautiful, a nonprofit organization committed to preserving the area’s profound natural beauty. For Steve and Connie Segner, the owners of El Portal, their dream was to build a luxury boutique inn that captured the spirit of Sedona and the Old West. To achieve this, El Portal was constructed using minimal technology and materials taken from nature whenever possible. 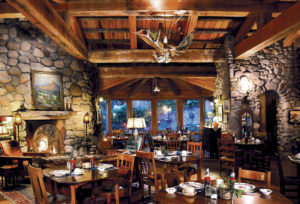 For example, the hotel features river rock fireplaces, windows framed by 200 year-old wood, and 100 year-old wood beams in the ceilings. El Portal’s twelve spacious suites are each uniquely decorated and full of handcrafted furniture and antiques. Luxe amenities vary from room to room and may include fireplaces, fenced patios, views of the gorgeous scenery outside, steam showers, and stained glass. 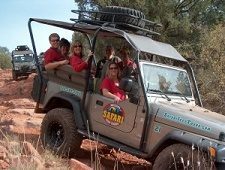 The staff of El Portal is passionate about the Sedona area and has in-depth knowledge of all that Northern Arizona has to offer. They share this knowledge and passion through personalized concierge services designed to help guests get the most out of their stays depending on their individual interests. El Portal’s full-time guides are available to help guests pick out hiking trails, select dining destinations, schedule spa appointments or tee times, or plan excursions to the Grand Canyon, located just two hours from Sedona. Many hotels that claim to be “pet-friendly” are, in reality, merely pet-accepting, charging additional fees for pets or relegating guests with four-legged friends to less desirable rooms. El Portal, on the other hand, welcomes pets as warmly as their humans. There is never a pet fee, and furry guests are greeted with a special basket that includes comfortable blankets, treats, and doggie bags. 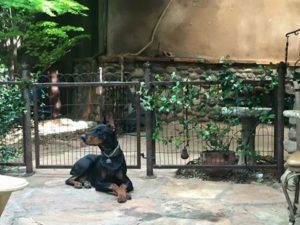 The property has a total of over 1,000 square feet of pet-friendly patio spaces, including enclosed patios at some of the guest rooms. El Portal’s genuine commitment to guests and their pets has been recognized with several awards: the hotel has been named the best pet-friendly hotel by USA Today and 10Best.com, as well as Number Two among top dog-friendly hotels in the country by Dogster Magazine. 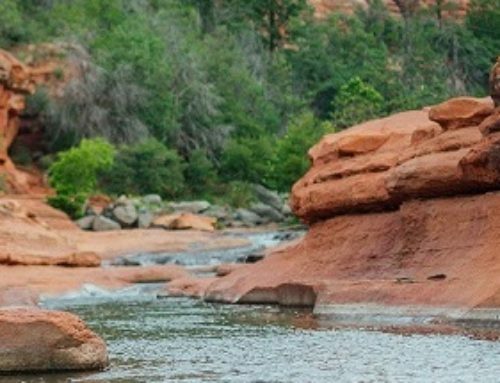 From numerous hiking trails to a vibrant arts and culture scene, visitors to the Sedona area encounter a plethora of activities—and El Portal is located in the heart of it all. The hotel is steps away from the famous Tlaquepaque Arts and Crafts Village, a charming plaza situated on the shaded banks of Oak Creek. Along the cobblestone pathways of Tlaquepaque, visitors will find a diverse selection of galleries, boutiques, and restaurants. 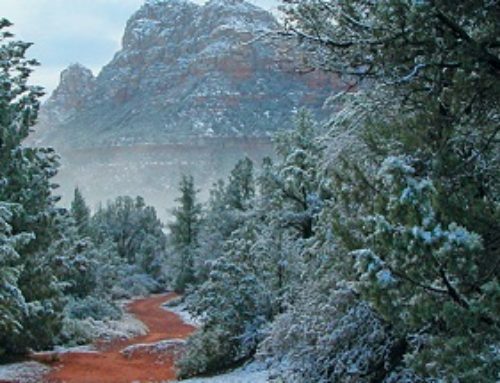 El Portal is mere minutes from the bustle of Uptown Sedona, another hotspot for art, shopping, and fine dining, as well as the serene beauty of Oak Creek Canyon. Within a short drive from El Portal, outdoor enthusiasts can access miles of hiking and biking trails, while wine lovers need only travel a half hour to enjoy the countless, high-quality wineries of the Verde Valley. Guests of El Portal can start their days with a gourmet breakfast served every morning in the hotel’s lobby. 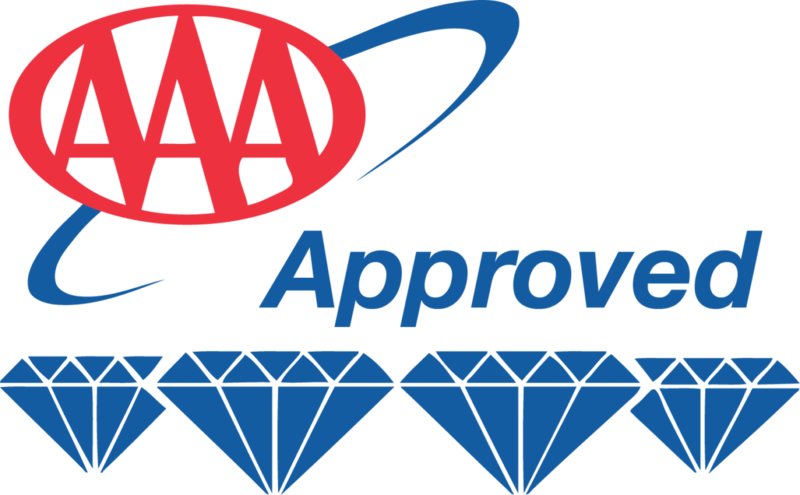 Mouth-watering menu items range from fluffy lemon buttermilk pancakes to savory, Southwest-inspired omelets and breakfast burritos. Guests seeking a day of relaxation have free access to a full gym, spa, and two pools at Los Abrigados, the resort next door to El Portal. In addition to the awards that El Portal has received for its pet-friendly amenities, the hotel’s commitment to excellence has been recognized by several other publications. For example, El Portal is one of only two hotels in Sedona to boast the coveted AAA Four Diamond designation. It has also been named one of the eight best hotels in the U.S. by Frommer’s and the New York Times, and was voted as one of the top ten hotels in the Southwest by readers of Condé Nast Traveler. 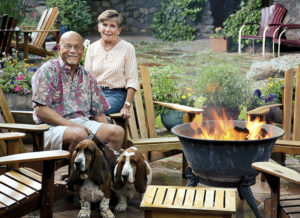 As one of Northern Arizona’s ultra-luxury hotels, El Portal seeks to provide guests (and their pets) with a unique and memorable experience as they explore the best of what this amazing area has to offer. Contact El Portal today at 1.800.313.0017 to book your stay!